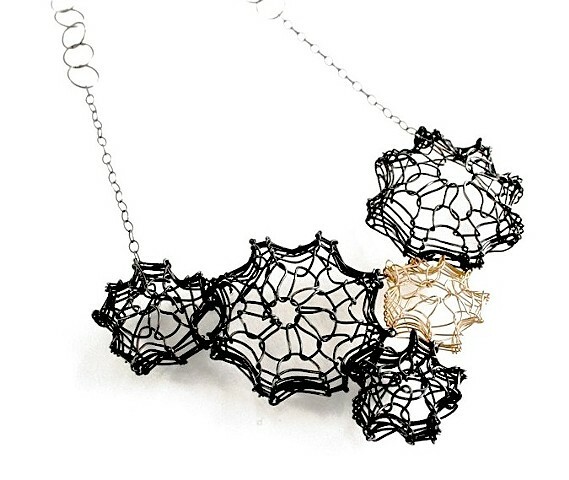 This necklace is part of the Medusa series. Inspired by what lies below Puget Sound, hand-loomed wire forms create dimension in a lightweight, sculptural manner. Steel and gold-fill forms on an oxidized, adjustable chain 16-18"